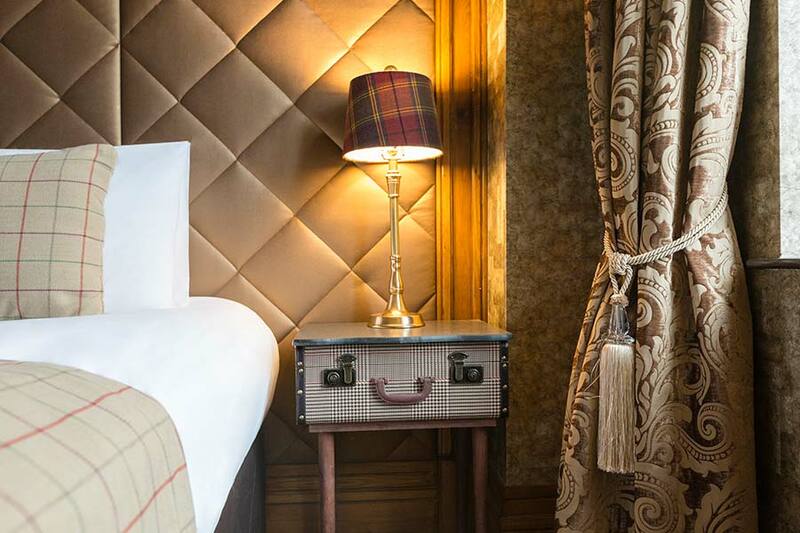 The Shankly Hotel offers so much more than luxury accommodation – it is an experience. Enjoy rooms inspired by one of the most iconic sporting figures in the world. Comprising of 83 luxurious rooms and suites, it’s the ideal destination for those looking for a stylish, comfortable and flexible hotel in Liverpool. No other hotel offers such a unique insight into the life and career of Bill Shankly. Each room is inspired by the legendary manager’s illustrious football career, and offers iconic quotes, relaxing beds and a luxurious bathroom, we guarantee an unforgettable stay at our hotel in Liverpool. 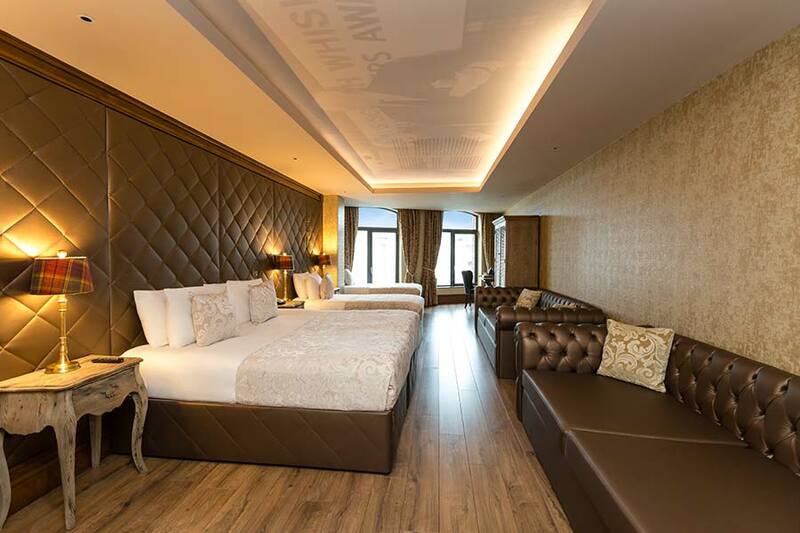 The Shankly Hotel has aimed for the sky – creating the ultimate hotel experience in Liverpool. Our comfortable, sleek and stylish rooms and suites span over 2.5 times an average hotel room. As standard, rooms include a double whirlpool Jacuzzi bath, 50 inch plasma TV, free WiFi and air conditioning. 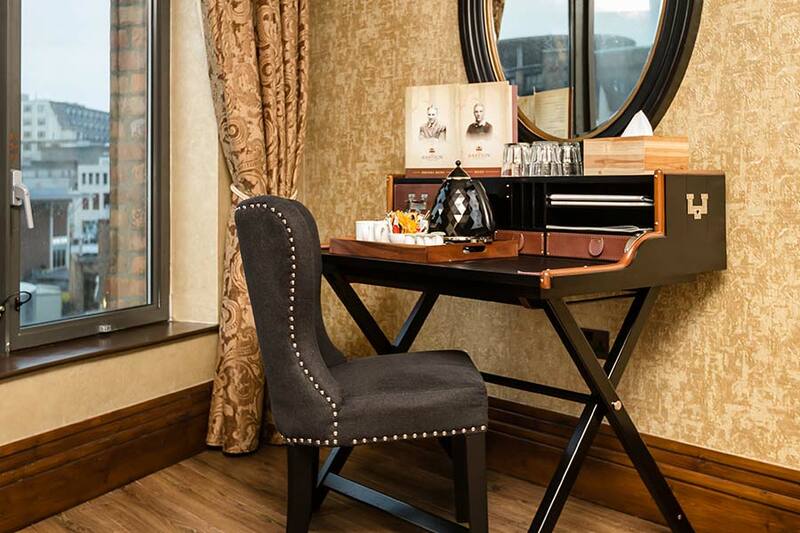 To really make the most of your stay at The Shankly Hotel, you can book a table at The Shankly Hotel, which celebrates Bill Shankly’s life. Experience delicious dishes surrounded by amazing memorabilia from the Shankly family’s private collection. 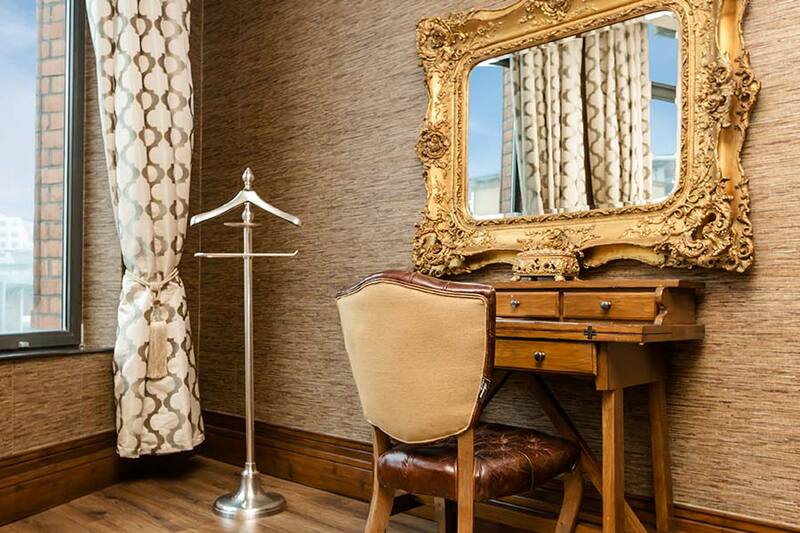 The Shankly Hotel offers the ultimate hotel stay in Liverpool. Book now to avoid disappointment. When I hear the name Bill Shankly, the first thing that comes to my mind is a lovely man, with good manners, who was passionate about football and a winner. The first time I met him, I was playing for Dundee United and was also in the British army on two-year service – so I have fought for my country as well as Liverpool Football Club! It was a role I enjoyed immensely, because I was captain of the side at the time, so it meant I wasn’t doing much marching or anything like that. I was stationed at Aldershot at the time, and I got a telegram from Dundee United. It never revealed much, it just told me to report to Edinburgh and there was an English team trying to sign me, but it didn’t say who. I was ready for the move because I’d played in the British army team with a lot of good players. Alec Young of Everton played in that side, Tottenham’s Dave McKay too. It was a very good side and I was fortunate to be in it too. I’d taken three days in leave to travel up in the car, but you couldn’t leave the Barracks without wearing your uniform. Unfortunately for me, I was so broad that they couldn’t get a uniform to fit me, so I was left wearing a World War one uniform. I felt like a right wally, but I couldn’t change because they wouldn’t let me go otherwise. I recall walking through the hotel in Edinburgh in the army boots that made me three inches taller with the heels and soles. It was the first time Liverpool had been mentioned, so I was pleased to hear it! I told him I was willing to sign for Liverpool – I felt I’d done enough for Dundee United and wanted something else. Shankly took me back to Liverpool, with, I think, the chairman of the club driving us down in a Rolls Royce. Shanks and I sat in the back, but I never managed to get a word in for the five hours the journey took! He told me what his plans were, who he was going to sign, and the rest. I was really taken with him and thought ‘I like this man’. He was very positive – Bill Shankly was always positive – and I was pleased to listen to him. I signed a two-year deal with the club.